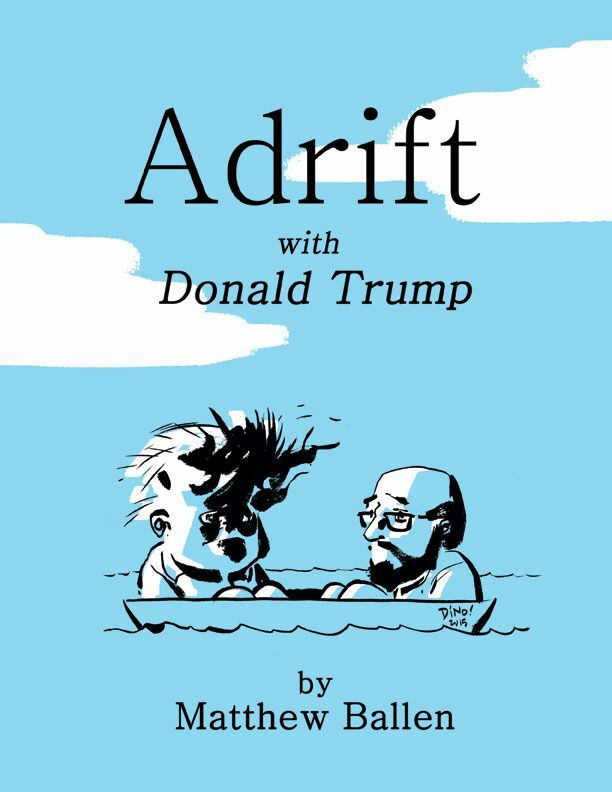 Last night at Hang Dai Studios, I drew a cover for Matthew Ballen​'s new (brief niche) novel, "Adrift with Donald Trump." I elected to NOT look at reference for Trump (why do that to myself?) and, instead, evoke a bratty Baby Trump in the spirit of Charles Schulz's Peanuts character, Pig-Pen. Also, I drew and completed the cover in a half-hour, done in the same style Matthew conceived and wrote the story (which, I think, took an entire hour). Enjoy!